I’m sitting in the studio, the sun streaming in through the window, waiting for news of a new arrival. Someone dear to me is about to give birth to a baby daughter, so I’m slightly distracted and all I can think about is the birds and the bees. I can almost hear the pitter patter of tiny feet but that could just be the mice in the outbuildings! There’s a feeling of anticipation in the air, not just with my pending news but generally, as a new season of growth unfolds. Sparrows have already been spotted with beaks full of nesting material and skirmishes are breaking out amongst the blackbirds on my lawn. It’s a busy time in the garden for both wildlife and gardeners but don’t be too hasty when you’re tidying up. I was about to scoop up a pile of twigs and leaves from the border only to find it full of hibernating ladybirds. . Leaving stems standing can provide food and shelter for wildlife as can leaving leaves lying on the ground. If you can’t wait, particularly in the veg plot then try to have an area set aside for the wildlife to seek refuge. Welcome the birds and the bees to your plot; they are such an important part of growing successfully. What can you do to encourage wildlife? Even if you don’t actively feed the birds, you can grow plants with seeds or berries, to feed them during the winter months. 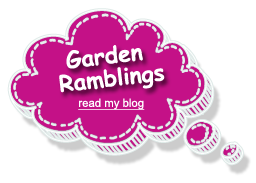 Herbs are excellent plants to grow in the vegetable garden or allotment. They are a culinary must have for flavouring all your favourite dishes. They’re pretty, fragrant, undemanding plants that attract insects due the provision of many small flowers in close proximity. If you have the space to grow some ornamentals, try later flowering plants such as Asters, Echinacea and late flowering Sedum, these will provide you with colour and the insects with an essential late supply of nectar. 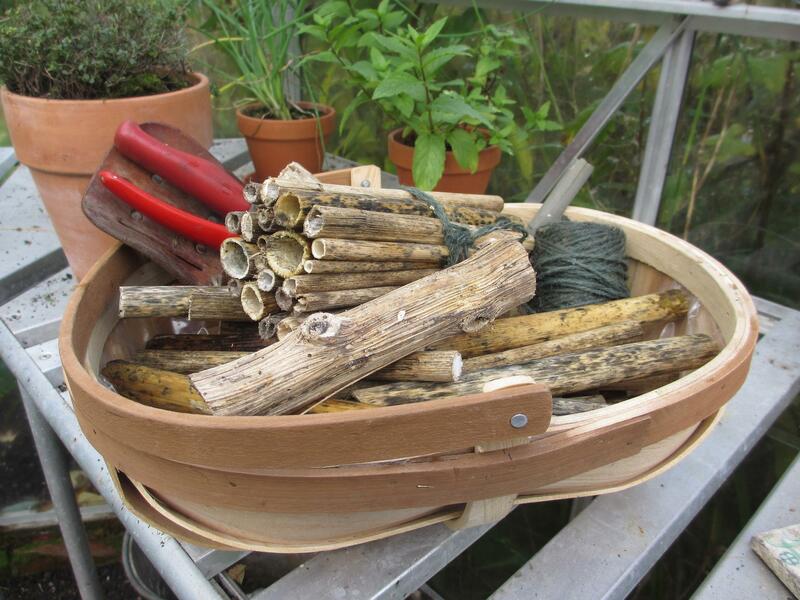 Bug Houses: When you do cut down your perennials, stand the hollow stems in a corner to dry before cutting into lengths of about 15cm/6″, tie in bundles, place in climbers or shrubs to provide more hibernation sites for beneficial insects. 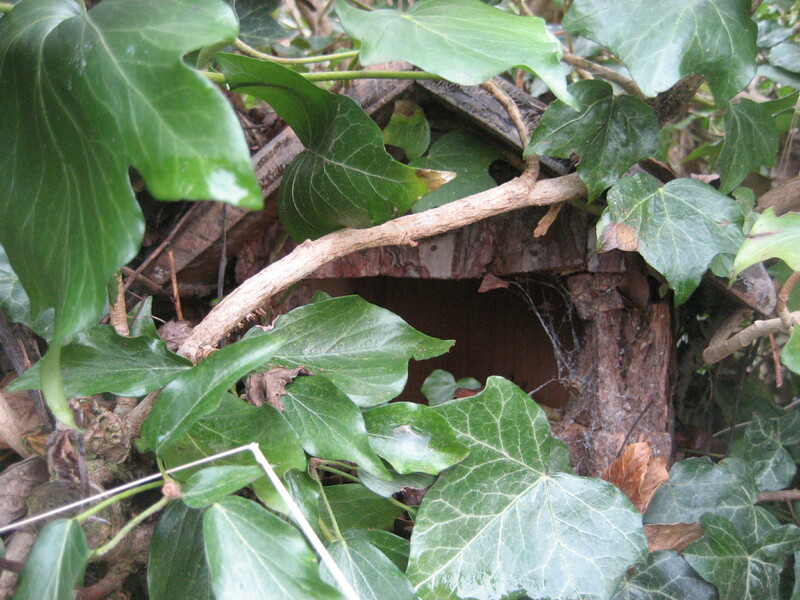 Bird boxes: Carefully placed, provide much needed nest sites in summer and shelter in winter. 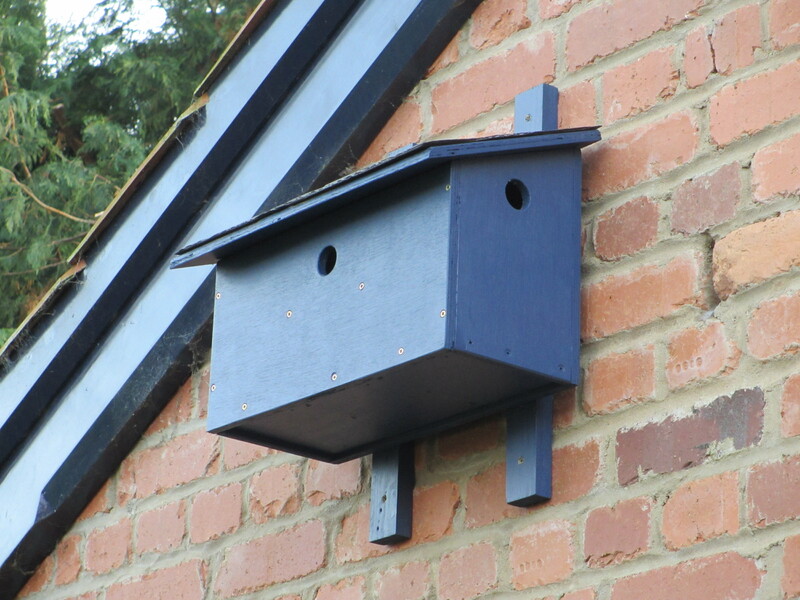 Clear out nest boxes or put up new ones early in the year as birds will already be looking for prospective nest sites. 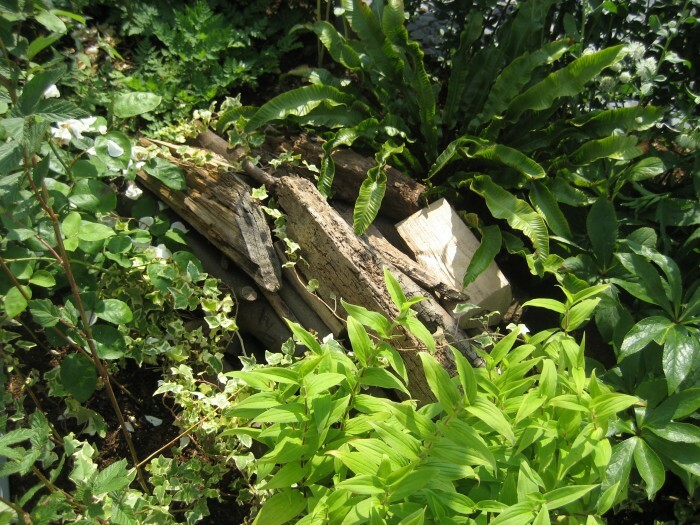 Logs piles: provide shelter and food for wildlife. Hedges; Hawthorn, blackthorn, guelder rose and field maple all provide food, nesting sites and cover along with yew, beech and native privet. Holly, blackthorn and other prickly plants such as Berberis (barberry) and Pyracantha (firethorne) have the added advantage of being a burglar deterrent. Climbers: Honeysuckle and Ivy provide shelter and food in the form of berries. You don’t have to own a paddock to have a meadow! Wildlife needs a supply of fresh water; birds need water to keep their feathers clean and of course to drink. If you don’t have a wildlife pond, now is a good time to plan and build one! A simple birdbath, kept clean and ice free is enough to make a difference. A simple but attractive way to provide water for wildlife is to sink an upturned, black plastic dustbin lid into the ground with the rim just proud of the soil. If you don’t have a dustbin lid use thick polythene. Cover the bottom with a layer of small gravel, place some larger pebbles just around the inside edge and disguise the rim with some more large pebbles. Encourage moss, the odd weed and provide plenty of plant cover and you will have the perfect bathing and drinking place for birds, small mammals and even insects. 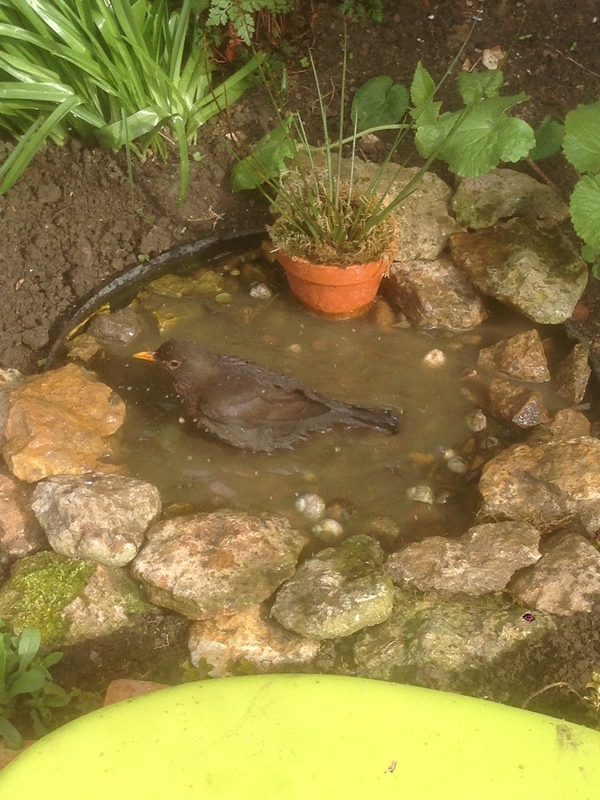 Treat as a bird bath not a pond, if it gets a bit dirty, flood it to remove debris. I have 2 such bird baths tucked under the shrubs in my woodland garden, which I can see from my living room window. I take great pleasure in watching them being well used. Since completing this blog the pitter patter became a reality. I hope that our tiny niece will come to love gardening as much a me, her Mum and her Grand-Ma!